Superannuation fund members might end up paying 30 per cent more for their life insurance cover under the government’s plan to help younger savers. Superannuation fund members might end up paying 30 percent more for their life insurance cover under the government’s sweeping plans to stop account erosion in the $2.5 trillion super sector. But KPMG said its early modelling has revealed that the combined effect of these changes had the potential to “damage the overall system for relatively little benefit”. “We would estimate that the impact for inactive members alone could result in a 30 percent increase in premiums across the whole industry, given the average fund has an active member ratio around 68 percent,” KPMG superannuation partner Adam Gee said. He said the effect of the removal of default cover for under-25s on the remaining insured members in superannuation funds must also be considered. “As superannuation insurance is provided via a “group” pooling arrangement, the removal of younger lives can only increase the overall risk of the whole insurance pool. “As such, this removal is likely to result in an increase in insurance premiums for the remaining members, which is a surely not the intended outcome,” Mr Gee said. A spokesman from MLC Life, which is now on a campaign to build up its group insurance portfolio, said “these proposed changes risk a number of unintended consequences, including increased premiums for insured people”. According to Treasury modelling, the government said 5 million people would have the chance to save about $3 billion in insurance premiums by choosing to opt-in to cover. 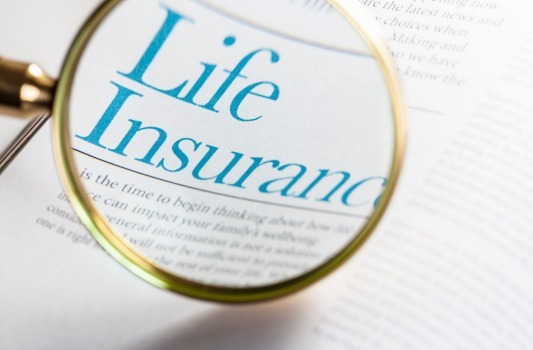 KPMG’s Mr Gee said this figure might be “overestimated” and required further investigation on the possible impact the $5.7 billion life insurance sector. Mark Kachor, managing director at life insurance research company DEXX&R, agreed, pointing out that each super fund’s membership would be hit in different ways. Taking into account only the impact of the removal of default insurance for under- 25s, Mr Kachor estimated that insurance companies would be on the receiving end of a “one-off fall in in-force super premium of about $400 million”. “The cost of basic cover per member under 25 is very low compared with the cost of basic cover at say age 35,” he said. Super fund Rest, which provides 1.4 million Australians with insurance and has about 32 percent of members with insurance under the age of 25, said the government’s plans might have “unintended consequences” for Millennials. “Without insurance provided as part of superannuation many Rest members would otherwise not have access to insurance cover because of their employment status or low discretionary income,” Rest interim chief executive Andrew Howard said. Under the insurance measures, from next July super funds will be forced to remove compulsory life insurance for members under the age of 25, those who have less than $6000 in their account and those who have not made a super contribution for 13 months. This follows a move by AustralianSuper, to remove default insurance for members under the age of 25. Super fund members who fall into one of the three cohorts of savers to be affected by the measure will have 14 months to decide whether to keep their insurance arrangements in place. Note: Due to the mess created by “inactive” multiple employer based default super funds, that can be automatically transferred to Government revenue, this new measure is likely to be implemented by the Federal Government. So for members of default industry super funds, it may be worthwhile reviewing your insurance arrangements to be under a personally controlled superannuation based life policy, to ensure you don’t become uninsurable or uncovered in the future. Roxburgh is also finding that personal super based insurance policies are often far cheaper than group insurance premiums. Contact steve@blizard.com.au for more information. May 9, 2018 in Federal Budget, Industry Super, Insurance, Superannuation, Wealth Building.